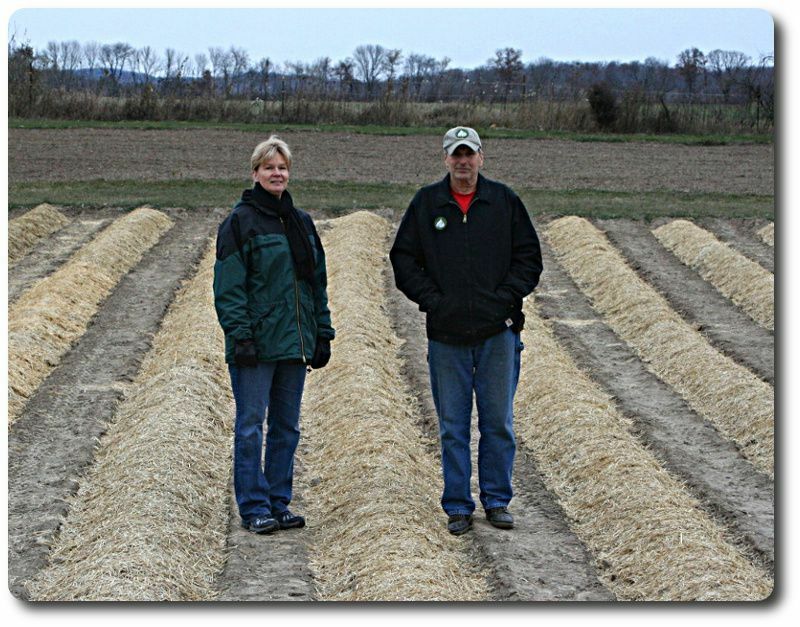 The year was 2011 when we made the decision to transform our farm from horse pasture to a high quality gourmet garlic crop. We had become aware that many people, like ourselves, were seeking quality food that was not saturated with chemicals. So in the Summer of 2012 we offered our first gourmet fresh garlic crop as well as pure garlic powder with no additives. We continue to grow our garlic using sustainable organic farming methods. We hope you will consider us when looking for a garlic product that is local and hand grown. Below you will find stories as to what we do through the eyes of others. 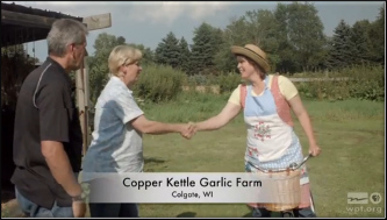 We were so honored when the popular PBS TV show crew from AROUND THE FARM TABLE with host Inga Witscher (Below) came out to film a segment on our garlic farm. If you would like to view that episode simply click on the picture below. 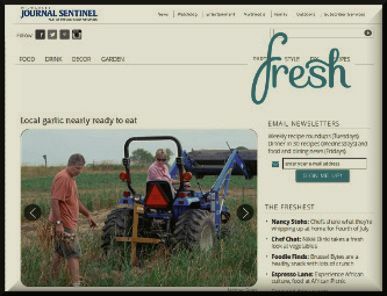 A Journalist and photographer from Wisconsin's largest newspaper The Milwaukee Journal Sentinel (Below) came out to the farm to do an article in a feature called Fresh. To say we were tickled pink would be putting it mildly. The feature article put a lot of insight into what we do and how we do it. If you would like to view this article simply click on the picture below. Seedstock did a very nice interview with us. Seedstock is a National organization that fosters the growth of local food systems. This interview portrays our commitment to sustainable farming methods and the passion we have for growing quality garlic. If you would like to view this article please click the picture below and it will link you to the Seedstock article. Garlic is such a unique food product that it qualifies as both a vegetable and a herb. The added layer of robust flavor that garlic adds to recipes and it's amazing health qualities allow it to stand apart from all the other vegetables and herbs. We would like to Thank all the good people above for giving us the spot light to be able to focus on our garlic farm. So we hope the stories above helped define who we are and what we do, but if you should have any further questions about us or our garlic, please feel free to contact us. Our email address is info@copperkfarm.com If you would like to visit our one-line store just click on the Order Now picture below.